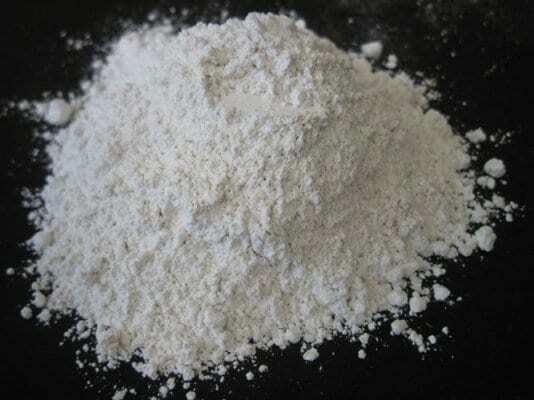 Calcium oxide (CaO), commonly and commercially known as Lime or Quicklime. Calcium oxide (CaO), commonly and commercially known as Lime or Quicklime. It is a widely used chemical compound in multiple industries, and it is described as a white, alkaline, and crystalline solid. Quick Lime is the result of heating the high purity Limestone (97-99% CaCO3), after being crushed to suitable particle size in vertical Kilns and applying a high temperature running between 1100°C to 1300°C. Through this operation Calcium Carbonate decomposes to high purity Calcium oxide (Quick Lime) and Carbon di-oxide gas. These steps are carried-out under accurate and active supervision by experienced and highly qualiﬁed team of chemists, engineers and burner master round the clock. Periodically within the day, chemical analysis and physical tests are performed in our laboratory facility following the international standards like ASTM, BS, DlN. An effective quality system is also maintained while carrying-out these tests so as to fulﬁll the requirements of quality management system. The Calcium Oxide product may undergo further process using crushers, special screens or special Mills, whereby it gets segregated to required sizes per the intended application and end purpose. The high purity is what makes it suitable for most industrial needs and applications. According to the international standard ASTM, BS, DIN and SASO, the very low rates of impurities and outstanding retention of high reactivity are among the main characteristics. It is also non-toxic, so that it’s considered as a Food Grade. (10 – 50 mm) Mainly Metal, Iron and Steel industries. (3 – 15 mm) Several applications including Steel as well as Chemical industries. (0 – 3 MM) Several applications including Steel treatment, Chemical industry, as well as Food industry (Mainly Sugar). (0 – 90 Microns) Several applications including: Mining, Gold puriﬁcation, Food industry, Fiber Glass, Poultry Sterilization, Water treatment, and many others in the Chemical industry.